"The remains are highly evocative because they enable us to make almost face-to-face connection with animals that are tens of thousands of years old." A group of miners digging for gold in Canada hit an archaeological jackpot when they discovered two amazingly well-preserved ice age animals. 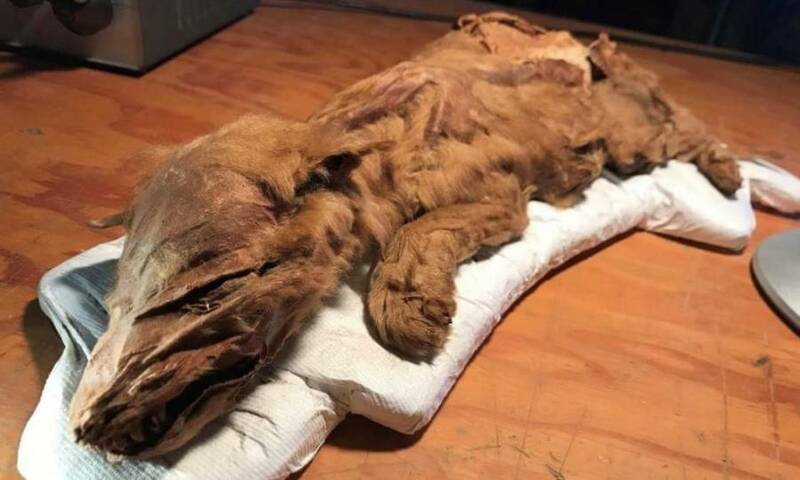 According to a Yukon government statement, the mummified remains of a wolf pup and caribou were first unearthed in 2016 from the Klondike region of Canada and were unveiled on Sept. 13 at a ceremony in Dawson, Yukon. The mammals are believed to be more than 50,000 years old but were found in extremely good condition when they were plucked from the permafrost. Government of YukonThe remains of the wolf pup discovered near Dawson, Yukon. 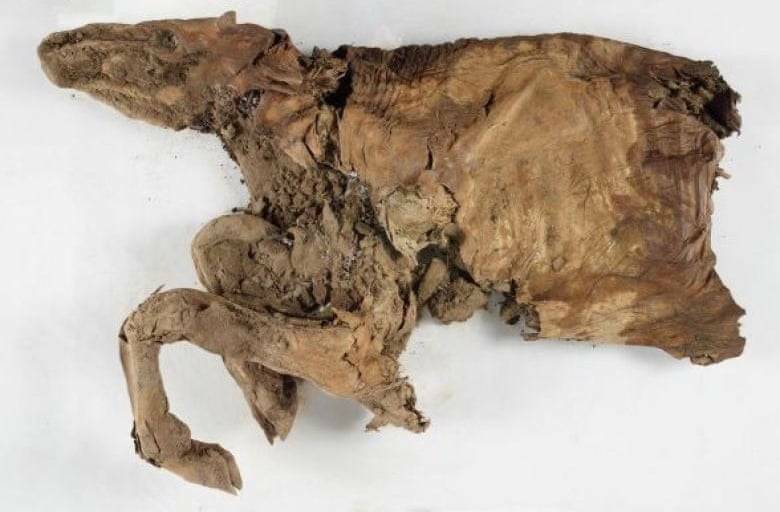 The ancient wolf pup was found with all of its body parts completely intact, as well as its skin and hair. 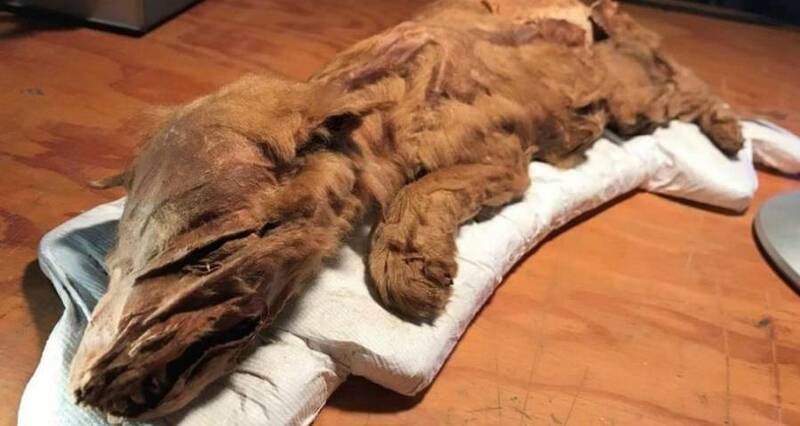 Grant Zazula, a local paleontologist who works with the Yukon government, told The Guardian that this mummified wolf pup is only one ever found in the entire world. Elsa Panciroli, a paleontologist at the University of Edinburgh, told The Guardian that finding the wolf’s complete body is remarkable. “Ice age wolf bones are relatively common in the Yukon, but having an animal preserved with skin and fur is just exceptional – you just want to reach out and stroke it. It’s an evocative glimpse into the ice age world,” she said. Government of YukonThe remains of the caribou. 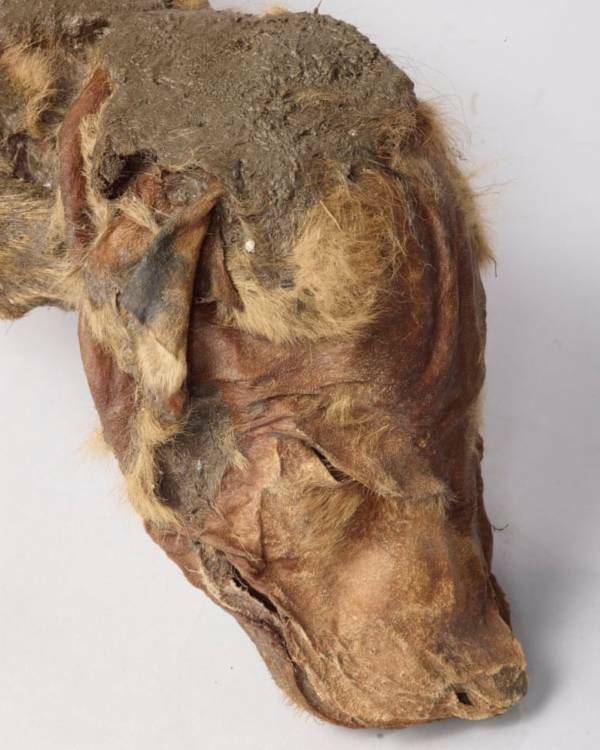 Only the front portion of the caribou carcass was discovered but this section of the animal is highly preserved. The animal’s hair, skin, and muscle are still intact as well as its torso, head, and front limbs, according to the statement. The caribou was found in a bed of volcanic ash that dates back nearly 80,000 years, making the animal’s remains some of the oldest mummified mammal tissue in the world ever discovered. The animals are believed to have walked the ancient Canadian tundra alongside animals like the woolly mammoth. The discovery of these mammal remains is groundbreaking not only because of how old they are but also because their extremely well-preserved condition means they are perfect specimens to examine for future research. Researchers hope to study the animals further to identify things such as what they ate, how old they were when they died, and what caused their deaths. Arctic permafrost is the perfect environment for discoveries such as these. The dry and frigid climate of the region could explain why the animals were found so well-preserved, Jan Zalasiewicz, a paleobiologist at the University of Leicester told The Guardian. Government of YukonThe head of the wolf pup. Just one look at the wolf pup and the caribou makes it hard to believe that they more than 50,000 years old. Thomas Higham, an expert in archaeological dating at the University of Oxford, told The Guardian that their intact skin and fur allows us to establish a bond with them. Next, find out why Portugal has preserved the centuries-old head of serial killer Diogo Alves. 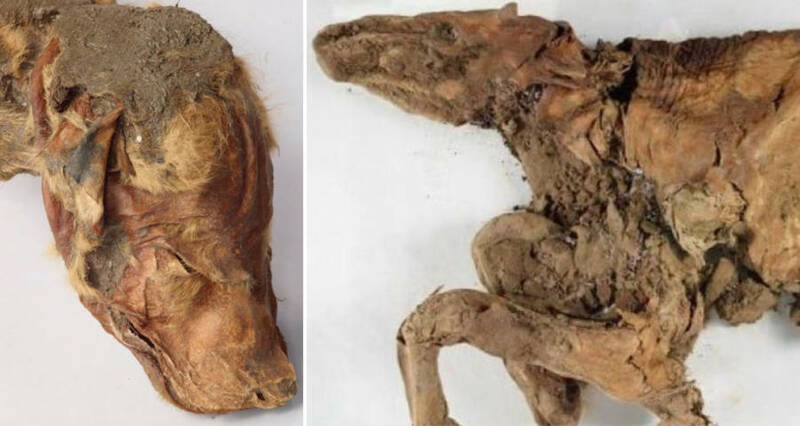 After that, meet Xin Zhui, a 2,000-year-old Chinese mummy that is one of the most well-preserved bodies in the world.